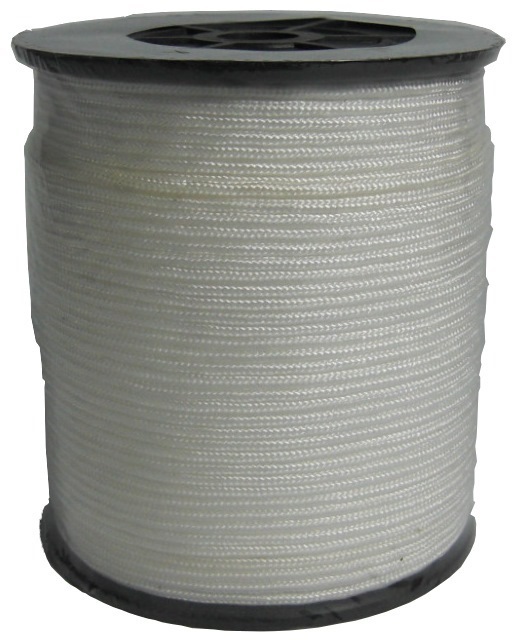 BRAIDED 16 STRANDS NYLON ROPE (WHITE) is rated 5.0 out of 5 by 1. Rated 5 out of 5 by Edward_ from Nylon cord - Diameter 2.5mm Purchased online and self-collected on the 3rd day. For self-replaced my two window venetian blinds (10m each) due to broken pulling cord (diameter 2mm). Working well and satisfied with purchase. 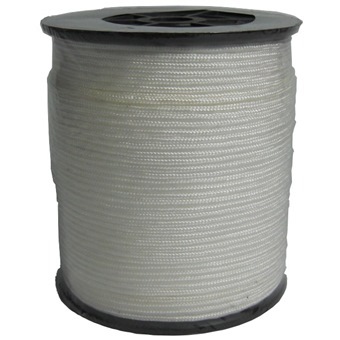 Can be used generally for apparels cords, etc.